The U.S. federal government cut the size of the record corn crop for 2013 unexpectedly, as lower yields were cutting into supplies. On Friday, the U.S. Department of Agriculture lowered the corn crop from last year to 13.92 billion bushels, which was down by 64 million bushels from its estimate made in December. The drop came as a surprise to most analysts who had expected the USDA to instead, increase its overall estimate for corn to over 14 million bushels. The rebound in soybean and corn stocks, which had been depleted in the drought of 2012, has been welcomed by livestock owners, food makers, producers of renewable fuels and others that have seen input costs fall. However, as the supplies have gone up, farmers have felt its impact. Agricultural prices dropped sharply, with the hardest hit of the commodities being corn during 2012, which lost 40%. In another report, the Agricultural Department said the inventories of corn on December 1 the first estimate following the 2013 harvest, increased by 30% to 10.425 billion in comparison with 8.031 billion bushels in 2012. That estimate was also short of what had been expected due to yields being smaller and demand for feed for livestock being higher. In the top corn-producing state of Iowa, the USDA said stockpiles of corn increased 11% to more than 1.736 billion bushels. Corn futures increased after the data by the USDA was released. 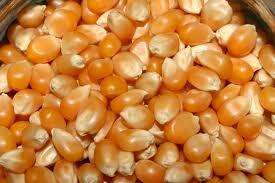 March delivery for corn was up 19.75 cents on Friday to over $4.31¾ per bushel on Chicago’s Board of Trade. As Washington continues its debate over the country’s future ethanol policy, the released information that corn used for the production of ethanol was up by 50 million bushels to over 5 billion. That in turn is evidence that the drop in the price of corn, made it less expensive to produce ethanol. The Renewable Fuels Association president said the surplus in corn showed there was enough available for livestock feed, food and ethanol production. The USDA announced that stockpiles of soybean on December 1 were over 2.147 billion bushels, which was 9% higher from last year at the same time.